Someday you’ll forget the closeness we have and the jokes we’ve shared. You’ll meet someone who can get along with you more than I can. 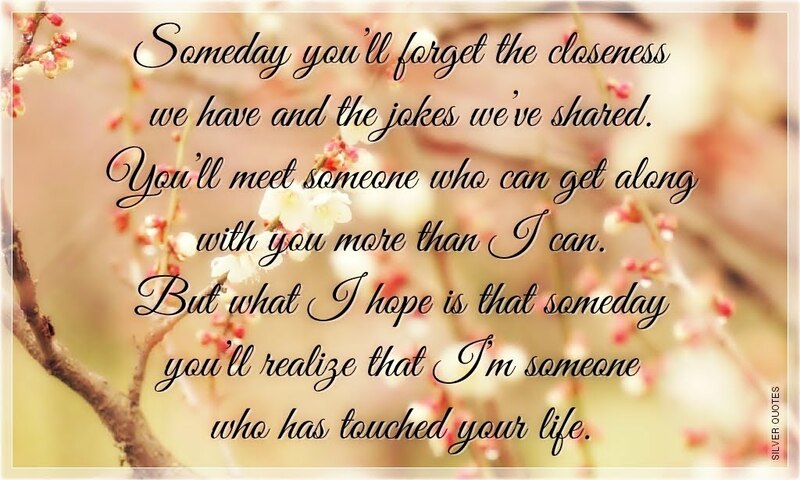 But what I hope is that someday you’ll realize that I’m someone who has touched your life.